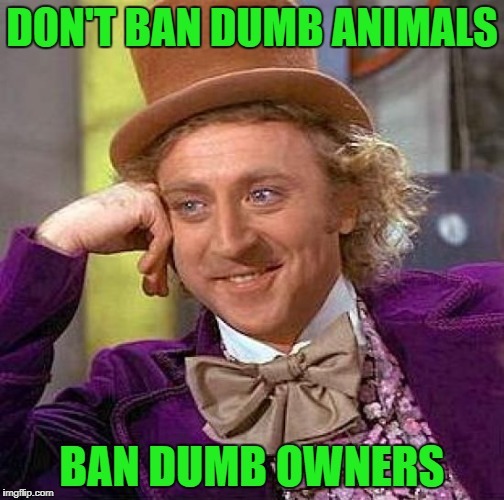 Just like the gun control debate...if you don't like something, ban the something, not the person that used it incorrectly. I have to agree. Pitbulls can be very loveable if trained right. Those who neglect or abuse them as puppies cause them to be vicious. No, my pit was raised right and he was lovable.. until he wasn't. Pit bull are not safe regardless of how they are raised. If it was "something", I'm on board, however, 39 people were killed by pit bulls last year. Pit bulls are "guns" that can and do pull their own triggers. I don't want to live next door to a bear, nor a pit bull. 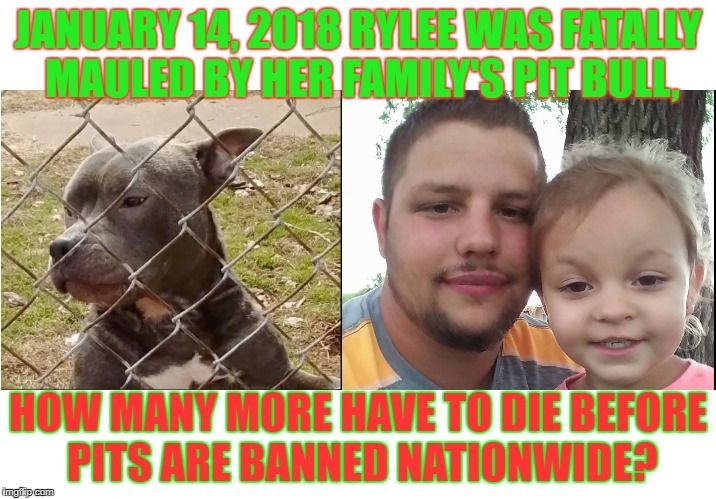 JANUARY 14, 2018 RYLEE WAS FATALLY MAULED BY HER FAMILY'S PIT BULL, HOW MANY MORE HAVE TO DIE BEFORE PITS ARE BANNED NATIONWIDE?